Aluminium Bahrain B.S.C. 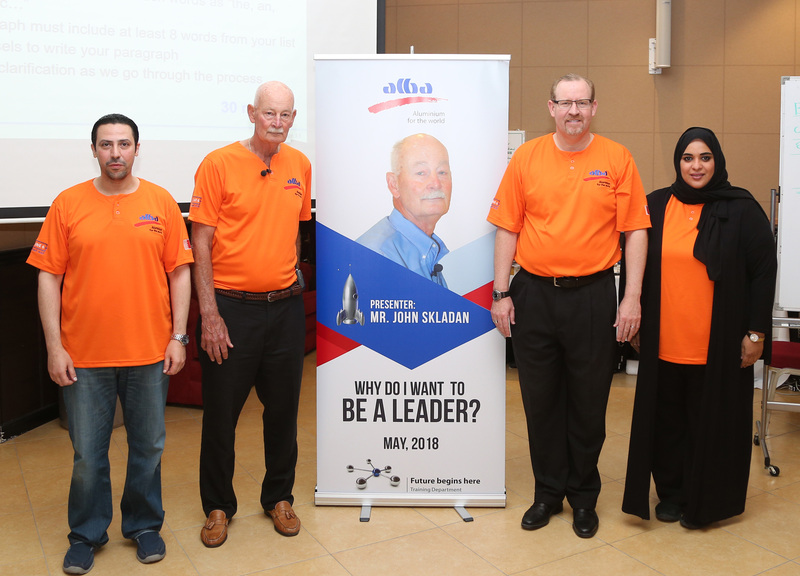 (Alba) continues to underline its commitment as a leader in developing its people, human assets, with a series of leadership workshops which helds from May 6 -8 to Alba Top Management, 2nd Line Management and 1st Line Management at Alba Club. Presented by the renowned management expert Mr. John Skladan, the 1-day workshop under the title of ‘Why do I want to be a leader?’ is designed to provide a practical framework to each of Aba’s management levels as the Company is preparing to be transformed with Line 6 Expansion Project. Mr. Skladan used in his workshop a number of concepts to build a resilient culture through alignment and preparedness to change. “We believe that the preparation for a better Tomorrow is doing our best Today. John Skladan is a well-known trainer with over 40 years of experience of working at Leadership levels with corporates such as Honeywell and Navistar.